When it comes to intriguing celebrities, I think we can all agree that Justin Bieber is pretty high up the list. Love him or hate him, he's grown up in the spotlight and has lived a life that most of us can't even begin to fathom, which makes him a curious public figure, even if not the most likable one. With this in mind, I sat down to read Bieber's interview with Martha Stewart in the August issue of, well, Interview, prepared to learn some new and exciting (or at least moderately interesting) facts about the Biebs. I half-expected Martha to delve into his recent trouble with the law and his ridiculous macho man posturing that went with it. That's worth reading about, right? Instead, we got a bunch of snooze-worthy factoids about his manager, Scooter Braun, his love of cars, and his high school GPA. Hey, you still awake over there? While it's totally cool that Bieber graduated with a 4.0 GPA (I need to see the receipts on that one!) and that he had fun at the Met Ball, I feel like there's so much more I'd like to know about Bieber than what Stewart chose to ask. Of course, his management probably has a novel-sized list of topics that are his Voldemort and Shall Not Be Named, but I'm just saying. Here are some questions I would have liked to see Bieber answer. If You Stopped Working Today, Would You Have Enough Money To Last Your Whole Life? Bieber is rich — extremely rich. His net worth is estimated to be around $300 million, though obviously much of that will be in assets and not cold, hard cash. I think it's pretty safe to assume that he could probably retire tomorrow and never work again, but is that actually the case? Do You Regret Leaving Your Pet Monkey In Germany? It's probably one of those "no no" topics, given that Bieber brought a pet into Germany illegally and then just dumped him with customs forever, but I want to know if he misses the poor little thing and if he regrets, you know, getting a pet monkey to begin with. Are You Embarrassed By Your Old Hits Like "Baby"? Frankly, I'm a big fan of Bieber's early work — not literally, because I have dignity, but I find the first couple of albums to be full of genuine bops that I'll listen to happily. Now that he takes himself so seriously, however, I wonder if he cringes at his old self. Seriously, What's Up With Selena Gomez? Bieber and Gomez have been on and off more times than my light switch, and it seems clear they just can't quit each other. What's up with their relationship? Will they ever work things out? 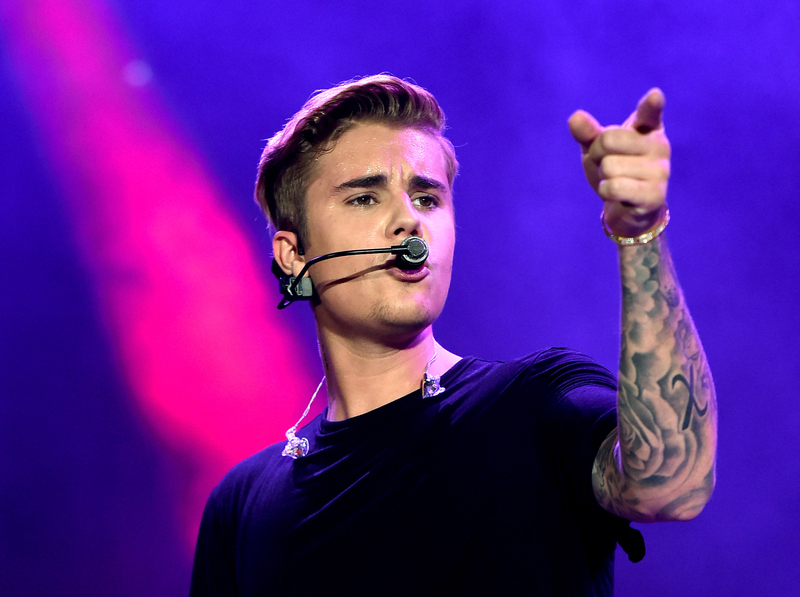 Does Bieber really want her back? I need the scoop! How Many More Tattoos Are You Gonna Get? I mean, I'm all for body art and all that, so I'm curious about this. We know Bieber is a fan of tattoos, but what do they all mean to him, and does he plan to continue filling up the blank spaces on his skin? Obviously Justin is older now and his mom isn't always at his side. However, she must have given him a serious talking to when he was going through his rebellious phase, and I'm sure she imparted some serious motherly wisdom. What's the best thing she told him/that he's learned from her? What Is The Most Important Advice You Would Give Your Younger Siblings? Bieber is a big brother, which means there are little ones in his own family looking up to him. While he'll no doubt continue to make mistakes, as we all do when we're growing up and figuring out our way in the world, I'm curious as to what he believes are the most important lessons he could impart on his younger siblings.